ThePureBag™ Yoga Bags + Accessories provide hypo-microbial protection from bacteria, fungus, mold, mildew and other gross stuff. Our stylish, functional and sporty lineup features bold, reversible and non-reversible color combinations with vibrant accents — all to keep you and your personal environment fashionably fresh, hip and germ-free. Great for the Studio, Gym, Training, Hiking, Traveling, Water Sports and more! Designed with love in Philadelphia. Stylish, sleek, well-designed and hypo-microbial style and protection for you and your gear. Crafted of silver-embedded marine-grade, healthcare quality vinyl – inside and out! 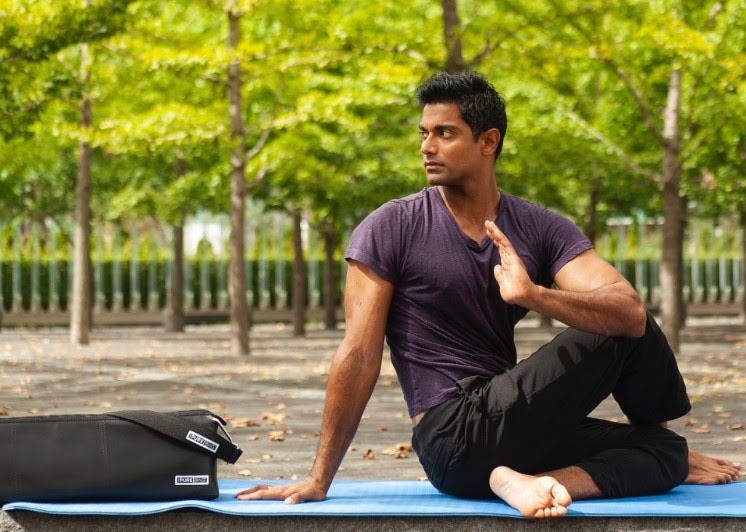 The ideal yoga mat bag or yoga tote for the trendy yogi on the go! Reversible	bags above and traditional yoga mat bags below. Be clean while being hip! Zippered pockets are ideal for your smart phone, credit cards, makeup or essential oils. They’re crafted with the same hypo-microbial style and materials as our Yoga Bags. Just toss one into your bag or use it solo! Waterproof bag will protect wet clothing, bathing suits or dirty sneakers from germs and keep them fresh and “stink free”. Simply toss into your bag and go! Silver lining mat wrap made with hypo-microbial style will protect you from rolling up germs into your mat. Post-practice, simply tuck the end of your mat into the top holder and roll! Keep the Germs Away! Hypo-microbial Yoga Mat Bags, Gym Bags , Zipper Pouches and Pockets featured on CBS Philly.